If you’re stuck for an easy dinner recipe and desperate to try something new, these smoked trout patties could be just what you’re looking for. Tasty and healthy, they’re a great winter alternative to that big bowl of pasta, and did we mention that they’re really, really easy to make? We’ve even provided a link to James Eaton’s boiled egg peeling how-to at the bottom of the page, just in case! Peal and boil potatoes until cooked. Drain well and mash. Flake the smoked trout into the mash and season. Separate two eggs, adding the egg yolks and chives to the mash mix – keep the egg whites for crumbing. Mix well and form into eight patties. Roll patties in flour, lightly whisked egg whites and bread crumbs then set aside. Combine all salad ingredients, checking seasoning and adjusting if necessary. Soft boil the eggs, refresh under running water and peel. Cut eggs in half and set aside. Add oil to frying pan and heat. Gently fry patties on both sides. 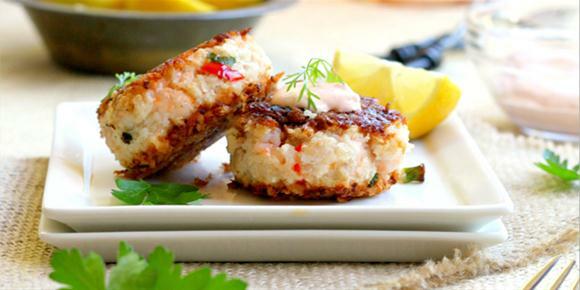 Place patties onto a plate, serving with boiled egg and garnish with cucumber salad. Peel an egg in under 10 seconds here. There is no denying that eggs make the perfect breakfast recipe; packed with protein, and so quick and easy to prepare. Create this classic French dish which takes all of 10 minutes to prepare, and add some ripe cherry tomatoes and avocado for some sweet and savoury flavour. Preheat the oven to 400ºF (200ºC). Combine the milk, flour, water, eggs, butter, and salt into a blender. Warm a large non-stick skillet over medium heat, and add some of the batter. Cook until the edges begin to dry, then flip and cook for a few more seconds. 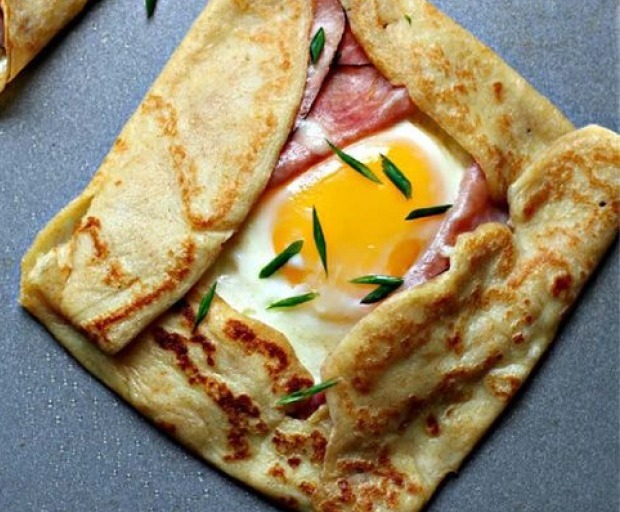 Cook the bottom of each egg, then divide over each crepe with a few strips of ham. Fold the crepe into quarters, then transfer to the tray and sprinkle with cheese. Cook in the oven until the cheese has melted, and the egg yolk has tightened. Garnish with green onions, avocado, and sliced cherry tomatoes. We’ve all experienced it before, right? A delicious poached egg made by a friend or from your local café is one thing, but creating your own is more like a disaster. The egg is too runny, over-cooked, or simply doesn’t resemble a poached egg at all! Below are just a few tips to create the perfect poached egg without losing your sanity! Use a large, deep saucepan, the bigger the better – and combine a generous serving of vinegar with 2 litres of water. Bring the water to a boil by cooking it on a high, then reduce back down to a medium as the pot is boiling hot. Crack one egg into a tiny cup or bowl making sure to remove any remnants of the shell with a spoon or fork (be careful not to burst the yolk!). Then carefully transfer the egg into the simmering water, try and get as close to the water as possible. Then, all you need to do is let the egg simmer for about 3 minutes before removing with a ladel. Bring a saucepan of water to a boil, this could take anywhere between 5-10 minutes. Pierce a hole into the egg with a pin or safety pin, then completely submerge into the boiling water for 10 seconds. Remove the egg with a spoon, then set aside. Reduce the heat to a gentle simmer, and crack the egg into the water. Remove any cracked shells with a spoon! Leave egg to cook for 2-3 minutes and remove with a ladle and remove excess water with a paper towel. Fill a small cup with a splash of water, then crack into the water a raw egg. It should sit on top of the water. Pierce the yolk slowing with a fork, this will prevent the egg from opening and exploding. Microwave for 30-60 seconds depending on the power of your microwave. Put a thin paper towel or a saucer over the top of the cup to keep it all together. When you’re done, just simply flip the saucer over! A core component of keeping your fitness routine up during winter is choosing foods that offer the right balance of nutrients to fuel workouts, aid in recovery and satisfy hunger. 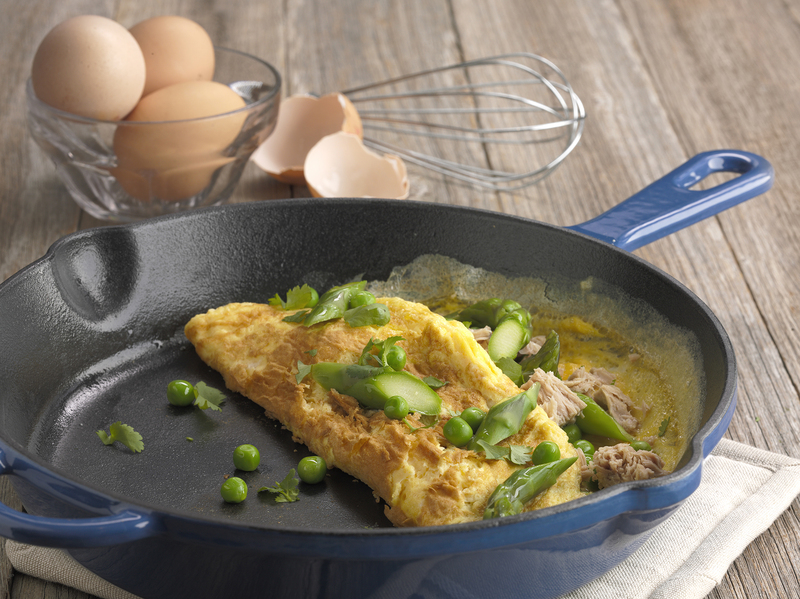 To help you get the essential vitamins and minerals to replenish your body, the Asparagus, Pea and Tuna Omelette is a great inclusion in the diet of physically active Aussies. Eggs contain the highest nutritional quality protein of all food sources, aiding in tissue repair and muscle growth. Eggs are also a source of iron, assisting with energy production, a good source of folate to help reduce tiredness and fatigue, and vitamin A to boost your immune system. Bring a small pot of water to boil, blanch asparagus and add peas, quickly cooking for ••• minute. Strain and set aside. Crack eggs into a bowl, season and whisk. Heat a non-stick pan over medium heat, spray with oil and pour in half of the egg mix covering the base. Cook lightly while lifting and moving the egg around to cook more evenly. Just before the omelette is cooked, add half the asparagus, peas and drained tuna. Fold in half and slide onto a plate. Repeat the process for the second omelette. Try using different flavour combinations, from zucchini and semi dried tomatoes to spinach and low fat crumbled feta cheese. Serve with Wholegrain toast for breakfast or after a workout or with a healthy side salad for lunch. Callum Hann’s frittata recipe from his fun new cookbook I’d Eat That make great summer picnic food, or enjoy it as an easy breakfast on the go. These muffin-sized frittatas are awesome for a weekend brekkie, but I also like to take them with me for a snack on the run. The eggs make it filling and the saltiness from the smoked salmon makes me want to keep eating them! 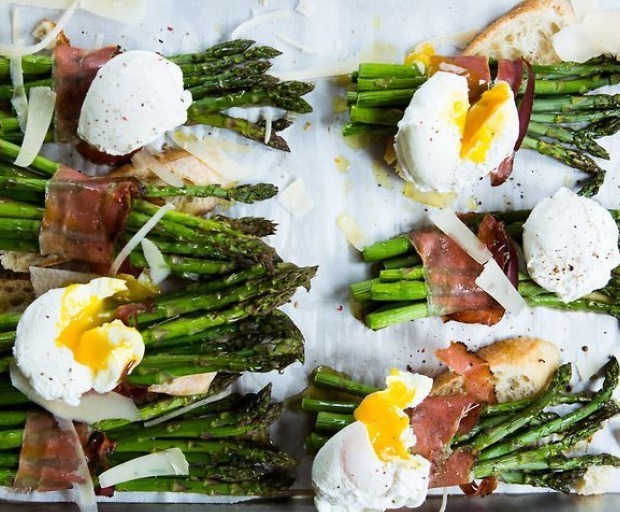 When out of season, swap asparagus for frozen peas. Recipe and image from I’d Eat That by Callum Hann, photography by Alan Benson. Published by Murdoch Books, RRP $24.99. 1. Bring a medium saucepan of water to the boil over a medium–high heat. Preheat the oven to 190°C. Lightly grease a 12-hole (60 ml/1⁄4 cup) muffin tin with canola oil, then line each muffin hole with baking paper. 2. Add the sliced asparagus to the boiling water and blanch for 1–2 minutes, or until bright green and almost tender. Drain well. 3. Whisk together the eggs, milk, a pinch of salt and half of the ricotta. Stir through the drained asparagus, salmon and dill. Divide the mixture evenly between the muffin holes and crumble over the remaining ricotta. 4. Bake for 15–20 minutes, or until golden and puffy. Serve warm with a salad as a meal, or cold as a snack. What are your favourite picnic ideas? 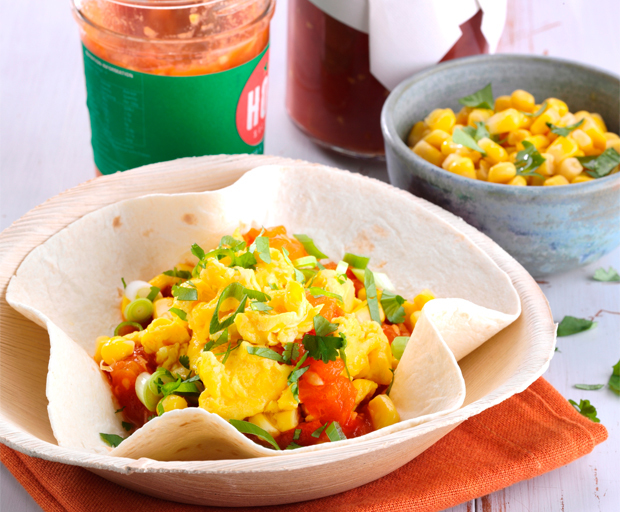 Treat dad to perfect scrambled eggs with spicy stewed tomatoes, sweet corn and spring onion tortilla. It only takes 30 minutes to prepare and he’ll feel like a king all day! 1. Heat fry pan and add oil, garlic, chilli. Fry gently while stirring. 2. Add chopped tomatoes, season and simmer until soft and thickened, stirring occasionally. 3. 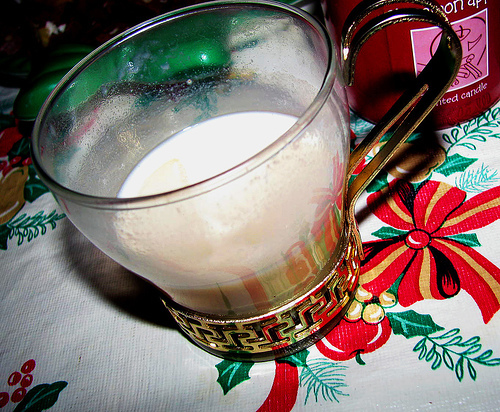 Whisk the eggs and milk in a bowl and season. In a separate pan melt the margarine then add the egg mix gently stirring with a spatula until just cooked. 4. Place sweet corn and margarine in a plastic container, heat in the microwave on high for 45 seconds. 5. Place tortillas into bowls, top with tomato, eggs, sweet corn, spring onion and coriander. Perfect served with avocado, sautéed mushrooms or baked beans. Breakfast in bed? Taking him out somewhere special? How do you treat dad on Father’s Day? French-style omelettes flavoured with chives and filled with slices of silky smoked salmon make the ultimate Mother’s Day brunch (served with fresh Mimosas of course!). 1. Lightly beat eggs, cream, water, chives, salt and pepper. 2. Heat a 20cm non-stick pan. Pour in egg mix and cook, stir gently with spatula, drawing back the edges. 3. When starting to set and turn golden (but still a little runny on top), top with smoked salmon and creme fraiche. 4. Fold over the omelette onto itself. Serve with a lemon wedge and garnish with a sprig of dill. Eggs? Pancakes? What’s your favourite brunch dish? 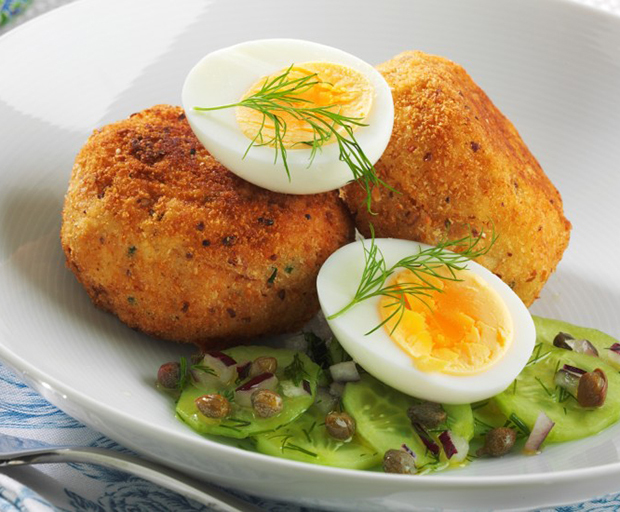 You want to eat more fish but are stuck for ideas – try these tasty smoked trout patties served with a soft boiled egg and cucumber, dill and caper salad – on the table in 30 minutes! 1. Peal and boil potatoes until cooked. Drain well and mash. 2. Flake the smoked trout into the mash and season. Separate two eggs, adding the egg yolks and chives to the mash mix. Keep the egg whites for crumbing. 3. Mix well and form into eight patties. Roll patties in flour, lightly whisked egg whites and bread crumbs then set aside. 4. Combine all salad ingredients, checking seasoning and adjusting if necessary. 5. Add oil to frying pan and heat. Gently fry patties on both sides. What’s your favourite 30-minute meal? Start the day right with these cafe-style eggs wrapped in baby spinach, with a side of roasted balsamic tomatoes. We love to serve this with gluten-free wholegrain toast (and lashings of coffee, of course!). 1. Preheat oven to 180C. Grease 4 ramekin dishes. 2. Cut 4 large roma (plum) tomatoes in half and place on a baking tray. Drizzle with 1 tbsp. of olive oil and 1 tbsp. of balsamic vinegar and season to taste. Roast for 20 mins. 3. Divide 2 cups baby spinach leaves evenly among the ramekin dishes and season well. Break an egg over the top of each, then gently tilt the ramekin to ensure the egg white runs through the spinach. 4. Place the ramekins in a large frying pan with a lid. Pour boiling water into the pan to come halfway up the dishes then cover and cook for 10-12 minutes. 5. Toast 2 slices of PureBred Multigrain Farmhouse bread. Remove the spinach eggs from the ramekin dishes. Serve with roasted tomatoes on toast. What’s your all-time favourite breakfast? 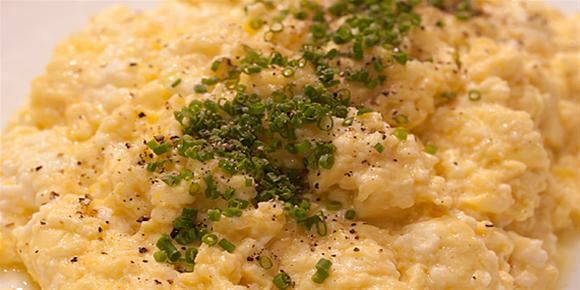 Scrambled eggs this good shouldn’t wait for the weekend: this recipe by celebrity chef Tetsuya Wakuda makes a luxurious mid-week dinner with only a few ingredients. 1. Crack four eggs into a bowl and cut the egg yolks with a fork, don’t whisk. 2. Add 1-2 tsp creamed corn, cream and parmesan cheese. Season with salt. 3. Heat the pan with olive oil and butter. 4. Add eggs and gently stir with spatula. 5. Once the eggs begin to scramble, remove them from the heat and add ricotta. 6. To serve, portion onto plates and garnish with chives. What’s your favourite egg recipe? These Egg and Lettuce Salad Cups are the perfect lunch or dinner, providing you with the nutrients you need for a balanced diet, whilst also being low in GI and saturated fats. 1. Place the eggs into a saucepan and cover with water. Place the lid on the saucepan and bring to the boil, and when it starts uncover and start timing for 10 minutes. Drain and cool under cold water, then peel. 2. Chop the eggs and combine in a large bowl with the capsicum, cucumber, onions, carrot and bean sprouts. Combine the juice and sauces in a small bowl and whisk with a fork. Pour over the vegetable mixture and gently mix through. To serve, spoon into lettuce leaves. 3. You can prepare the filling up to 1 hour in advance, keep covered in the fridge. Dress just before serving. This can also be eaten as a wrap. What are you cooking tonight? In this frenetic age in which we live, we seldom have time to settle down and enjoy a scrumptious plate of bacon and eggs or ham and eggs.Over Easter we will have plenty of time with four blissful days off work. Bacon or ham and eggs are great for breakfast or brunch and make a delicious high tea meal in the evening. Here are two great ham and eggs recipes. Eggs Benedict is so decadent and the Leg Ham with the spicy Eggs has a nice twist. Cut the butter into thirds. Place egg yolks and 1/3 of the butter in top of a double boiler, and cook over hot, but not boiling water until butter melts, stirring quickly. Add the next 1/3 of the butter still stirring. The mixture will start to thicken, then add the last 1/3 of the butter. When the butter is melted remove the pan from the hot water, and stir quickly for about 2 minutes. Stir in the lemon juice, a teaspoon at a time, salt and pepper to taste. Heat again over hot water, stirring constantly. When heated remove immediately. Toast and butter bread, top with a slice of fried ham. Poach eggs and place on top of ham then top with Hollandaise sauce. Arrange leg ham slices on toast and keep warm. Melt butter in a fry pan and add curry powder and onion, cooking until onion is tender. Beat eggs with salt and pepper, orange juice, cream and chopped parsley. Pour into fry pan and cook, stirring frequently until softly scrambled. You don’t need to be a professional bartender to make this cocktail just grab your blender and some eggs. Voila! Beat the sugar into the egg yolks until thickened and pale yellow. Set aside. Bring the milk to a simmer in a large saucepan over medium heat. Slowly beat the hot milk into the egg yolks. Pour the entire mixture back into the pan and place over low heat. Stir constantly until the temperature reaches 150F or the mixture is thick enough to coat the back of a wooden spoon. Immediately remove from heat. Strain into a large bowl and set aside to cool. In a small bowl beat the cream until it is slightly thickened, then fold it into the cooled egg mixture. Add the brandy, rum, vanilla, and nutmeg. Stir well. Cover and refrigerate for at least four hours. Serve ice cold in large glasses.